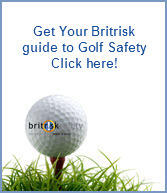 The Britrisk Green Services team of specialist safety advisers with Jon Allbutt in the lead have decades of experience in the amenity horticulture, golf and leisure industry ready to help you manage the many health, safety and environmental management challenges in your business. The preparation and presentation of high quality sports and leisure facilities together with caring for the safety of staff, players and the public require(s) expertise and constant attention to detail, particularly as staff and the public are often so close to the ‘field of play’. The Britrisk team can help you to set up your safety management system that includes policies, procedures, help with prepare of risk assessments, make arrangements for dealing with emergencies, prepare training plans and carry out staff training (we are Quality Assured ‘on the job’ training experts), manage your contractors and construction projects; and if things go badly wrong, we will be there to support you all the way, and be your ‘expert witness’ in the event of civil or criminal proceedings.